In this Executive Insights videocast, BCStrategies’ Jim Burton is joined by Poly CEO Joe Burton for more announcements from the new company. At Enterprise Connect 2019, the Poly announced new partnerships with Google, Amazon and Microsoft. Poly announced that its VVX 250, 350 and 450 OBi Edition phones are the first IP phones certified for Google Voice. The offering is a result of a new strategic alliance between Poly and Google Cloud to create integrated solutions for businesses that rely on Google Cloud's G Suite with Google Voice. Poly announced the integration of two Amazon Web Services (AWS) solutions – Amazon Chime and Alexa for Business – with the Trio conference phone. The combination of these products can deliver an elevated meeting experience for users, offering new voice commands to manage meetings and activate third-party devices. To help workers be more productive in the office and on-the-go, Voyager 4200 UC headsets will feature Alexa Built-in. 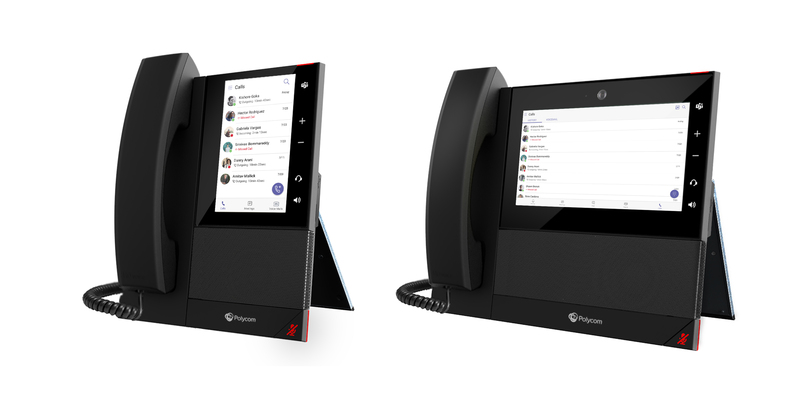 Poly announced the Poly CCX Series, business desk phones designed for the modern office that pair a native Microsoft Teams solution with premium voice quality. Poly CCX 500 and CCX 700 phones extend Teams straight to a desktop phone so that your calls, calendar, and meetings are fully integrated and accessible through the phone’s screen display for more efficient meetings. Joining a conference call is one click on the calendar. Businesses that are migrating to or those who already rely on Teams will benefit from CCX Series’ ability to function as a true unified communications platform that delivers legendary voice quality. Jim Burton: Welcome to BCStrategies Executive Insights. This is Jim Burton, and I’m joined once again by Joe Burton, and now we can say the CEO of Poly. Congratulations, Joe. Joe Burton: Thanks so much, Jim. It’s only been a couple of days, but I’m loving being the CEO of Poly. Jim Burton: That’s great. Well, unfortunately, when we had our podcast discussing the new name, there were some announcements you couldn’t discuss. And they’re, really, really important partnerships. I think it shows how well your company has been doing, and the favoritism you get from being a great partner. So, let’s jump into those partnerships that you can discuss with us today. Joe Burton: Yeah, you bet. A couple of the ones that are really exciting that we’ve announced over the last day or so, I really want to talk about here. The first one is around Google. We’re announcing a new partnership with Google to create integrated solutions for businesses that rely on Google’s G-Suite cloud service and Google Voice. So, we’ve actually integrated the Poly VVX 250, 350 and 450 phones, IP phones, very tightly with Google Voice. And, I think we’re the first and only certified Google Voice phones as of this time. So, really, really a big, significant announcement for us. We’re excited about the partnership with Google. Similarly, we have some great news around our partnership with Amazon. We’ve integrated tightly with Amazon Chime and with Alexa for Business. 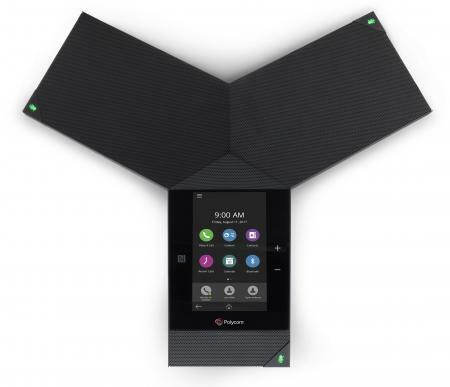 The Polycom Trio has Alexa for Business integration. Obviously, compatibility with Chime, many of the headsets have compatibility with Chime. And one of the things that’s really exciting is we have Alexa built into many of the headsets, to really deliver an elevated meeting experience for all users across multiple videoconferencing tools and platforms now, all powered by Alexa for Business with our Poly products. So, just great work going on with Amazon as well. We also have a little bit of product-related news around Microsoft that I can share as well here today. Our CCX Series phones, a really nice, sleek set of desktop phones designed for the modern office that pair natively with the Microsoft Team solution, and just have incredible audio. So, it’ll be great for everybody to come by and see those. Jim Burton: Good. Well, too bad we couldn’t have talked about that earlier in the week, but we know it’s going to be some surprise announcements in the marketplace. And so now we have it. Joe, I appreciate your time again today and look forward to spending more time with you here at Enterprise Connect. Joe Burton: You bet. Look forward to seeing you over the next day or two, Jim. Thanks.